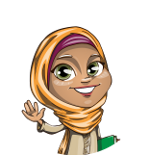 What does Aisha (Muslim Arabic Name) mean? The name Aisha (Arabic writing : ايشا) is a Muslim girls Names. The meaning of name Aisha is " Life, Vivaciousness, Living Prosperous, Youngest wife of the Prophet Muhammad pbuh "